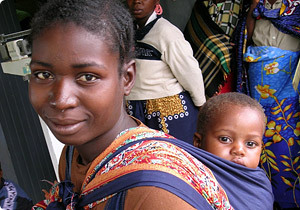 In April 2010, the government of Sierra Leone introduced the free healthcare initiative, abolishing user fees for pregnant women, lactating mothers and children less than five years of age in public health facilities. It also banned Traditional Birth Attendants (TBAs) from assisting deliveries. The removal of user fees resulted in significant increases in hospital attendances and overstretched the under-equipped, under-staffed and poorly remunerated health sector in responding to the surge. Besides, for most people in the hard-to-reach and medically under-served communities, the services of TBAs – in spite of the challenges with lack of formal training, are a lifeline to women in labour. These two situations therefore threatened the improvements in maternal and child mortality, which the free healthcare initiative was expected to bring about. To address the problems, the government increased the pay for health workers, and then reviewed its position on the TBAs by encouraging them to take on a non-delivery role as Maternal Health Promoters (MHPs). Specifically, TBAs are not allowed by law to carry out deliveries themselves. Accordingly, some of the health officers have taken the initiative, using funds from the Performance-Based Financing (PBF) scheme to motivate TBAs with cash incentives for every referral and assistance they make to health facilities. More pregnant women were now reporting to health centres as a result, and, for those coming from far-flung places. Funds from PBF have constructed various health facilities to accommodate them in “Birth Waiting Homes”. The PBF is a component of the World Bank-funded Reproductive and Child Health Project II (RCHPII) designed to motivate public health workers for better service delivery. According to Francisca Ayodeji Akala – World Bank Task Team Leader for the RCHP, the scheme provides incentive for the availability, in health facilities, of key enablers such as electricity, running water, tracer drugs, adequate technical staffing plus general staff. The incentives also cover achievement of key benchmarks for family planning, antenatal consultations, facility skilled deliveries, postnatal consultations, full vaccination of children under one, and outpatient consultations for children under five years old. Generally, 60% of the funds are used for staff motivation, and the remaining 40% is invested in providing the key enablers. Therefore, for unpaid TBAs, like 65 year old Isata Francis Kargbo who works at the Largo Community Health Center in the Eastern Kenema District, a key factor of cooperation with the health facility is the incentive they receive under the PBF scheme. Isata never went to school, but has over 25 years experience in traditional birth attendance. But all these positive impacts have been overshadowed and reversed by the Ebola crisis. Out of the many health workers infected by the virus, over 200 of them have died. At the same time, members of the public – particularly pregnant women, lactating mothers avoided the health facilities in fear of catching the Ebola virus. 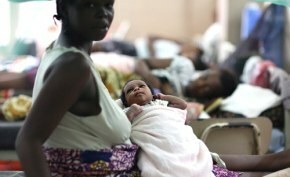 The real impact of this on maternal and child mortality has not yet been determined, but even before the outbreak, Sierra Leone had the highest Maternal Mortality rates in the world. One of the major post Ebola challenges would be to restore confidence in the general health care service delivery system. One of the instruments employed to incentivized health workers back to work during the epidemic is the hazard pay. The scheme itself has been fraught with challenges of verifications, which result in delays – the same challenges that afflicted the performance based-financing. If the authorities and partners succeed to fix the problems relating to the hazard pay, it might very well inform a much needed review of the performance based financing in the post Ebola program of strengthening the health system, which the World Bank has already indicated it will support. The PBF scheme has been in operation since 2011 in 2 major hospitals and 1200 PHUS, with plans to add up to 6 more hospitals in 2015 with the Bank financing through the RCHP.